The phrase ‘hidden gems’ is often associated with the Lake District. The stunning National Park comprises of 2,362 km² of rugged mountain landscape and tranquil lakes. And with 13 uniquely shaped valleys separated by towering, steep-sided mountains, there are lots of hiding places for some of the best things to do and places to visit in the UK, not to mention surprise eateries. Let’s take a sneak peek. Cocoa Bean Company is new for 2017 but we don’t expect it to stay a hidden gem for long! With a life-sized ‘Cocoa Bean’ branded purple cow outside, and Willy Wonka style shop frontage, this Children’s Chocolate Factory in the conservation village of Hawkshead is certainly not hidden. But, new in 2017, unless you are passing by, this exciting attraction is still little known. For £16.50, the cocoa bean is the sought-after gemstone here, where workshops last for 45 minutes and involve making and decorating a personalised chocolate bar and chocolate animal – we fancy the bunny – and as these cool down, faces are ‘painted’ with a chocolate moustache or whiskers as well as creating a marshmallow and melted chocolate masterpiece. Adults can enjoy an aromatic cup of the coffee bean variety in the café that also serves cakes and light bites whilst kids indulge their not-so-secret love of chocolate! The beautiful pack-horse bridge, Ashness Bridge, is one of the most photographed in the Lakes due to its stunning backdrop and so perhaps not such an ‘unknown’ in the Lake District. it is definitely one of the hidden gems of the Lake District. However, a little further up the hill from this petite bridge is the surprising viewing point of ‘Surprise View’. This is a popular viewing point as the elevated position gives superb views across Derwent Water and even on to Bassenthwaite lake on a clear day. So too it is not such an unknown. But, head to Surprise View to watch the sun set and you will be in for one of the best views in the world that only a select few have experienced before. For those looking for a gemstone that glistens in the light of day, i.e you have children or a party not up for an evening watching the sun set, then read on. On the way to Surprise View from Ashness Bridge you will find Caffle House Tearooms, which are a very welcomed mid-walk surprise, especially during inclement weather where a mug of hot chocolate, large wedge of cake and place to rest is worth parting with your actual coppers and brass. At 4pm on a Saturday in the Lake District, 3 miles away from Honister Slate Mine in the beautiful Borrowdale Valley, The Langstrath pub will be filled with folk enjoying their sapphire-coloured pint of Jennings discussing the gems of their day rambling in this quieter, yet beautiful valley. However, deep down, inside the mighty mountains of the Borrowdale Valley, the 900 year old Honister Slate Mine could be awash with multimedia light displays and filled with the rare sound of a subterranean classical music concert. The slate mine has hosted some famous names, who say the acoustics are better than those of some of the best music studios in the world. The unusual ‘wild’ location is attracting some rare and unusual gems within the classical music world. As you look down into the Jaws of Borrowdale from the elevated position on Julia Bradbury’s favourite Castle Crag, be sure to check out this slate mine (indecently, celebrating its 20th anniversary this year), for some very well hidden and rare-find music concerts. Although this relaxed restaurant-come-music venue may appear to be a diamond in the rough, the love, care and passion from owners Andy and Chrissy Hill are like the genie in the lamp of this beautiful Aladdin’s Cave. Rub the magic lamp, enjoy a seductive dining experience and the Jumble Room will deliver you from their doors with lightness in your step, guaranteed. This is what makes the Jumble Room a real Lake District treasure. Whilst the great global coffee revolution is in full swing. Here in the Lake District, we very much value the tradition of English Tea. And for this you must visit the traditional Gillam’s Tea Room. Whilst the furniture is antique in the 18th Century building, the family run business’ approach and passion for tea leaves is far from antiquated. From the warming Chai teas to the refreshing St. Clements Green tea, you have the ‘pick’ of the very best here. 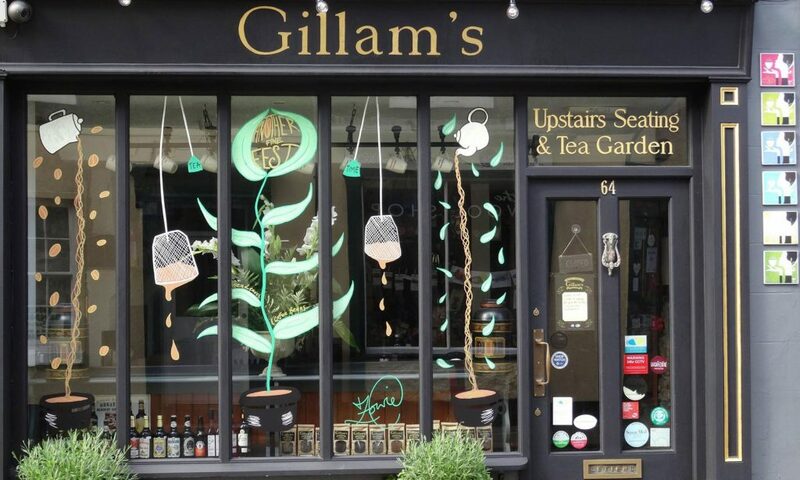 Voted one of the UK’s top ten tea rooms by The Times, the Gillam family have been trading in tea and coffee since 1892 and today have expanded to offer a tearoom and restaurant and specialty grocer shop next door. 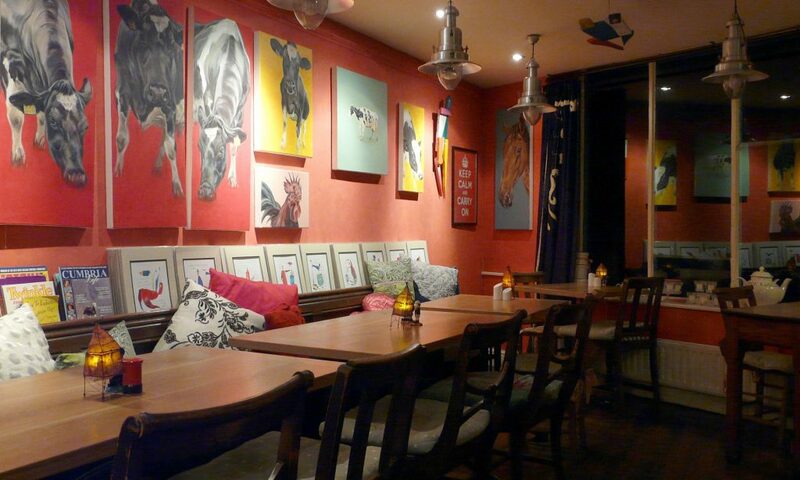 All of their food is vegetarian and organic and for an extra surprise, be sure to stop by for an evening at Gillian’s where you can enjoy a jazz night with daughter Jess Gillan, who has played with Jools Holland and his Rhythm and Blues Orchestra and won Woodwind Final of BBC Young Musician of the Year 2016. Word has now got out about their secret mushrooms on toast, which were recently enjoyed by the chefs of the BBC One series ‘The Hairy Bikers’ Comfort Food’, out in January this year. We best keep quiet before anyone else finds out about some of the gems that we love to visit in the Lake District. Hope you enjoyed reading this and we’d love to hear of your secret places to visit in the Lake District in the comments below.